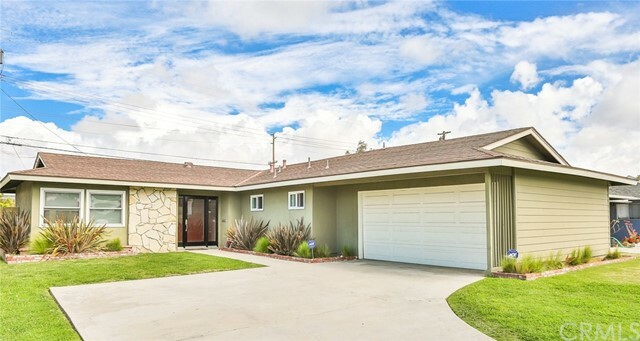 Welcome to this beautiful home located in a great huntington beach neighborhood! This fabulously upgraded and maintained 3 bedroom home shows like a model. Enter through a private court yard. Living room offers a built-in tv and a fireplace. This home has a gorgeous kitchen with granite counters, new soft touch cabinets, pull out drawers, new stainless appliances and gas cooking. The interior neutral palette sets the stage for a cozy lifestyle. Master bedroom has its own bathroom. High quality laminate wood floors, tiles throughout the home. Large slider leading to the entertaining backyard with a pool and a spa, and a large patio complete with built-in bbq. Other features include new a/c, alarm system, ceiling fans, 2 car garage with epoxy flooring and much more! This home is located close to goldenwest college, bella terra, mall & beach, close to 405, 22 freeways!! It is a turnkey home and priced to sell!! 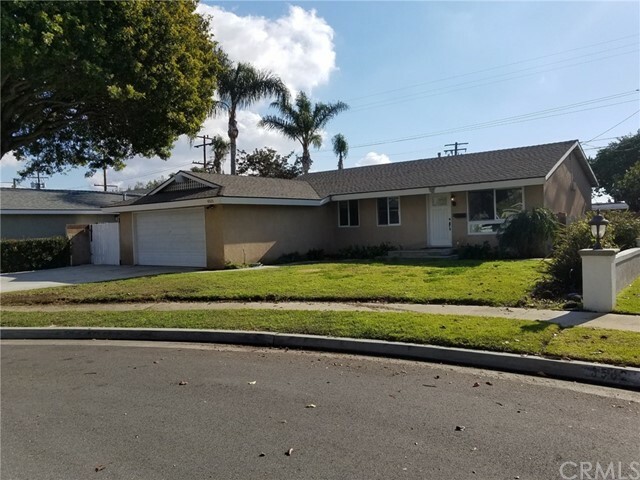 Superbly located near huntington beach central park in the huntington shores community, this is the ideal family home! Upon entering this single-story property, you will love the expansive living room with vaulted ceiling, brick fireplace and two large windows that allow in ample natural light. From the main living area you’ll also enjoy views of the gorgeous canopy of trees from nearby central park. Beyond the living room you are greeted by the eat-in kitchen area, with ample space for casual dining, tv watching and other family activities. The large sliding door off the kitchen leads you to your expansive backyard. Enjoy your private sanctuary under the covered patio area or a relaxing afternoon by the pool and spa. Back inside, you will find two spacious guest bedrooms that share a full bathroom down the hall and the master bedroom with attached master bathroom. 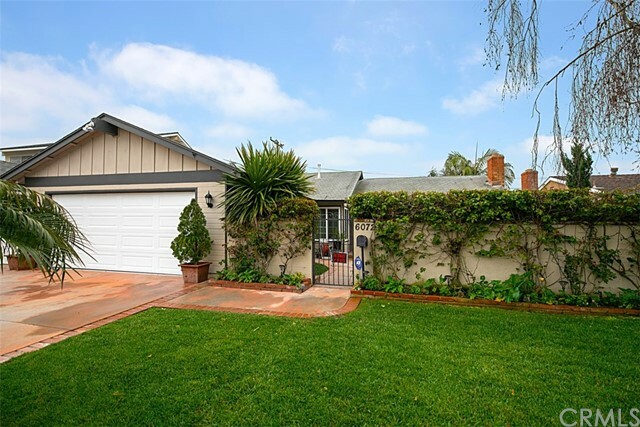 This home is adjacent to huntington beach central park, the shipley nature center, huntington lake and dog park, the huntington beach equestrian center, and the beautiful huntington beach senior center. It’s also just two miles to the beach! Spend your weekends with family and friends picnicking at central park, lounging at the beach, or shopping and dining at the newly built pacific city. Sometimes location is everything, and this family home gives you easy access to all the best amenities huntington beach has to offer! Very nice single story home with a great curb appeal. 3 bedrooms and 2 bathrooms with over 2000 sq ft. Very large living room and large family room that can be used as a 4th bedroom. Updated kitchen with granite counter tops along with pull out drawers. Has a bay window inside laundry room with sink. Large stove with a custom overhead vent. Backyard has a lime tree and persimmon tree. Updated bathrooms. Central air and heat. New concrete driveway and walkways. Immaculate garage with new flooring. Roof was installed in 2018. New rain gutters. Near award winning schools, parks, beach, restaurants and freeway close. 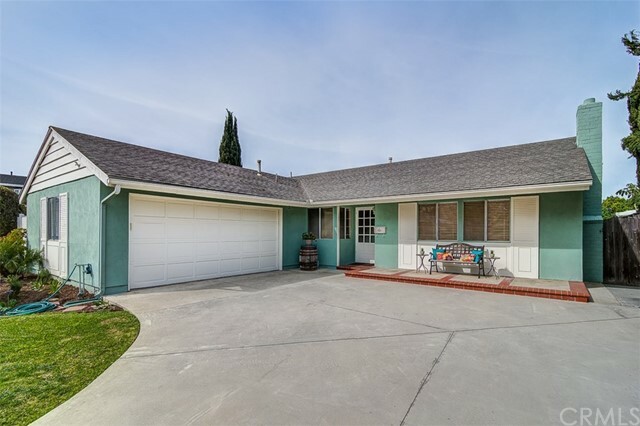 Great 3-bedroom, 2-bath huntington beach home located in the college view tract near edwards and edinger. This cul-de-sac move in ready property has so many awesome features such as vinyl windows, crown molding, recessed lighting, engineered laminate flooring, crown molding, scraped ceilings, vinyl backyard fencing, backyard landscape lighting, backyard water element, finished concrete on side yard for boat storage, landscaped backyard w/ pet-friendly artificial turf, automatic backyard sprinklers and finished shed with electrical, cable, internet connections for entertainment (man-cave). And if that wasn't enough, the home has surround sound connections in living room, stainless steel kitchen appliances, granite kitchen countertops, cherry kitchen cabinets and remodeled bathrooms. You enter this home through a beautiful contemporary glass front door. 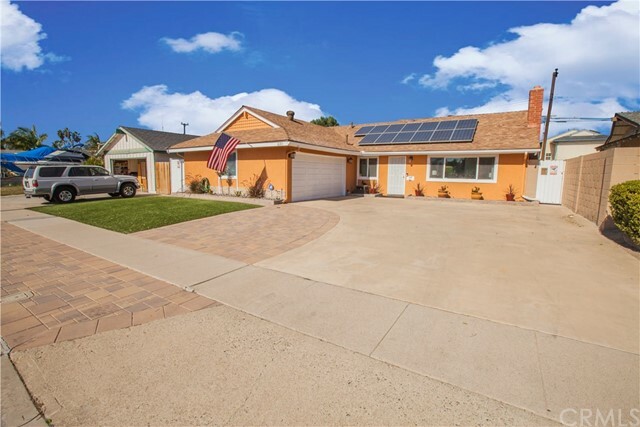 A must see home for anyone looking for a single story home in the huntington beach area. Wait no more! This cozy single story 3 bedroom 1 & 3/4 bath home is located in a on a culdesac with sidewalks, park(s) and shopping conveniently nearby. 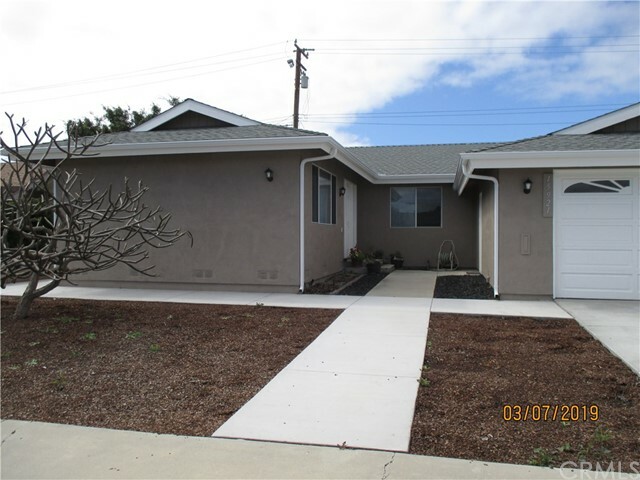 This home features newer windows, laminate flooring in living room, dining room and hall. Upgraded kitchen cabinetry with soft closing door and drawers, granite counter tops, stainless steel appliances and recessed lighting. Tile flooring in kitchen and bathrooms, new carpet in bedrooms, ceiling fans in each bedroom, and fresh paint throughout. There is a sunroom for added space and an attached double car garage with washer/dryer hookups. This turnkey home will not last. Charming single family home situated at the end of a cul-de-sac convenient to shopping, goldenwest college and don't forget the beach. New roof, fresh paint, lots of light, beautiful hardwood floors, granite countertop, crown molding, inside laundry hook-up, and two car garage. Located in the hb school district, has clear termite and is move-in ready. Owner will pay up to $2,000 in closing costs and will include a one year home warranty plan at no additional charge. Motivated seller, bring your highest and best offer. 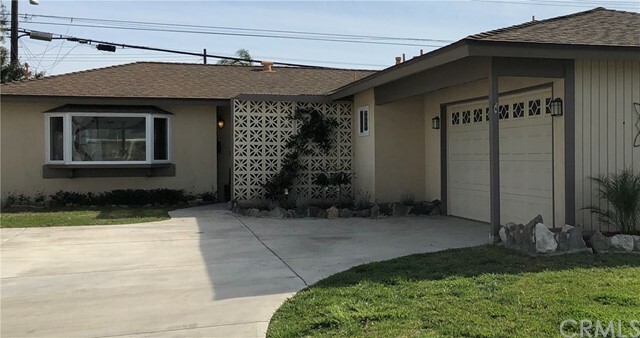 ***Nestled in huntington beach’s charming neighborhood communities, this lovely 3 bedroom turn-key home features outside white wrought iron fence and security gate, river rock exterior and a relaxing sun porch. As you enter the open spacious living room with a beautiful bay window. Also, dual pane windows and laminate wood floors throughout the home. The kitchen enhanced with upgraded white quartz counter tops, recessed lighting and updated cabinets. Upgraded 2 bathrooms with granite countertops and travertine floors. Plantation shutters for privacy and ceiling fans in some of the rooms. Good size backyard with comforting spa and cozy private patio, automatic sprinkler system, large grass lawns, and landscaping. Conveniently close to schools, parks, library, shopping centers, restaurants and more.